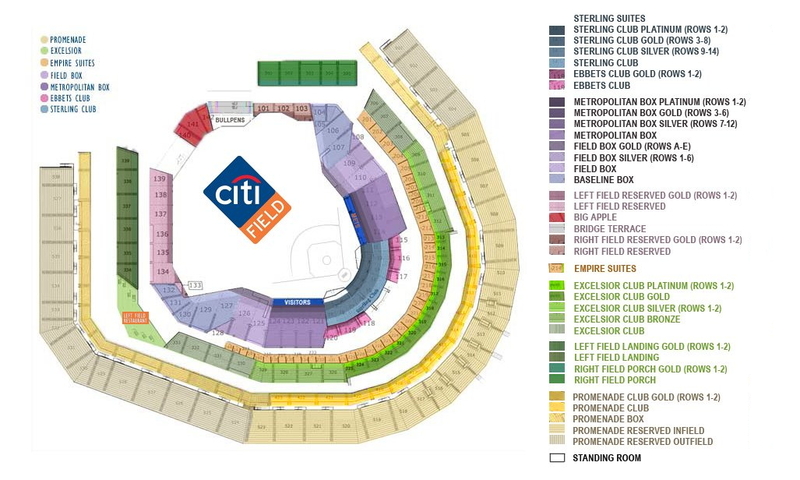 Posted below is a link to the seating chart for Citi Field, new home of the New York Mets. Citi Field is now complete and the NY Mets are playing their inaugural season in the beautiful stadium. The new ballpark has a capacity of 45,000 seats, and is located adjacent to the Met’s former park, Shea stadium (which will be demolished). The exterior of the stadium (facade) and entryway rotunda will be reminiscnet of Ebbets Field, and the interior will look more modern, resembling stadiums like Camden Yards in Baltimore. Click here to view events at Citi Field and a Citi Field seating chart. We have a dynamic seating chart that lets you see all sections and zoom in for a closer look. To buy New York Mets tickets for the 2009 season, please visit TicketCity or call 1.800.880.8886.